An engaged workforce is vitally important in the Charlotte community. When a Harvard University/UC Berkeley study revealed Charlotte-Mecklenburg ranks 50th out of 50 among the largest U.S. cities in economic mobility, the community rallied for a solution. Companies have found ways to step up and use their collective impact to create positive change. Some of the avenues companies have taken include investing resources into community initiatives, empowering employees to join engagement groups and providing professional development so that employees are prepared to take leadership roles in local nonprofits.There’s also been a recent push to use technology to help redefine the future of philanthropy in the workplace. In February 2018, Salesforce.org announced a partnership with United Way to launch Philanthropy Cloud, the first-of-its-kind network platform with the goal of transforming the way corporations connect with employees to engage and support the causes they care about. 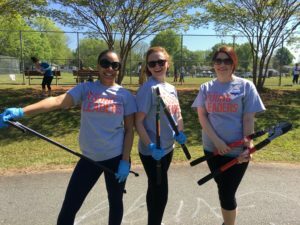 Here are three ways companies in Charlotte are making volunteering and engaging in the community simple, effective and fun for their employees. Many companies provide opportunities for fundraising and community service, but some go as far as giving employees the opportunity to volunteer during the workday. 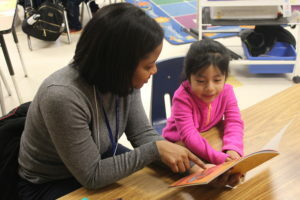 The Tutor Charlotte program, launched by United Way and Read Charlotte, wouldn’t be possible without employees from local companies volunteering their time to serve as reading mentors for local students. Sometimes people want to make an impact, but are not sure where to start. Joining a group focused on learning about the needs of the community and rallying to make a difference, is a great entry point. Companies including Wells Fargo, Atrium Health, Duke Energy, BB&T and EY are empowering their employees to make a difference by joining engagement groups. 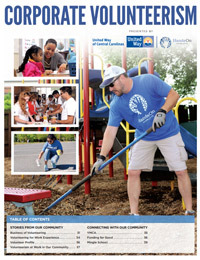 United Way has four engagement groups, each with a focus on improving economic mobility in Charlotte by working towards a key impact area including early childhood education and neighborhood revitalization. The Young Leaders group focuses on positive change in the west corridor of Charlotte. The group recently volunteered with Seeds for Change, a West Boulevard Community Initiative focused on creating a fully-integrated food hub in West Charlotte. Companies like Enterprise Holdings are helping to foster future leaders in our community by not only encouraging employees to volunteer, but also providing leadership and educational opportunities. Enterprise Holdings recently brought together employees to assemble snack packs at Salvation Army’s Center of Hope. The group was broken into teams, with a contest and prizes for the most productive volunteers. They set a goal on the overall number of packs to put together for the women and children there. 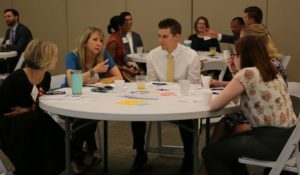 TIAA and Wells Fargo are among the companies working to train future nonprofit leaders by providing board training sessions. These interactive sessions prepare young professionals to be part of a nonprofit agency board. The civic-minded nature of nonprofit leadership makes it crucial for those in governance positions – particularly those in volunteer board positions – to understand their roles in advancing the mission of the nonprofits they serve. Using case studies, hands-on problem solving and hearing from subject matter experts, these sessions give participants the skills they need to become effective board members. For today’s workforce, simply showing up is not good enough. Employers are recognizing that more and more people want to be engaged not only at work, but also in the world around them. Companies who rally their employees to volunteer will reap the benefits of a loyal workforce, higher productivity and a better community for all. 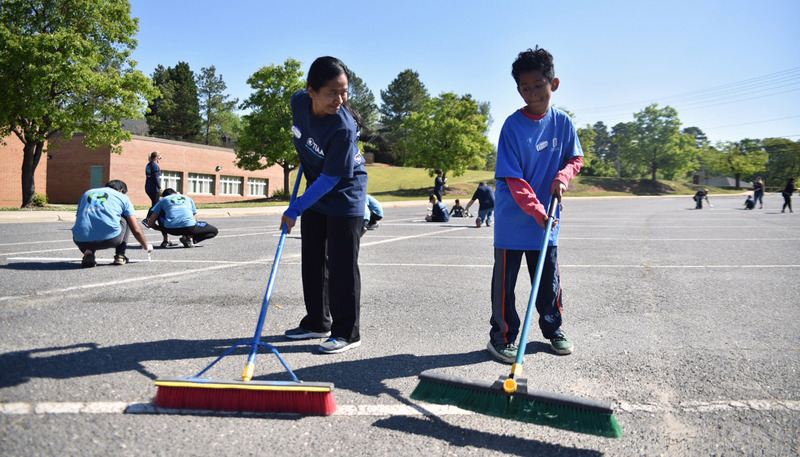 This article was published in April’s edition of the Charlotte Business Journal which showcases companies throughout the Charlotte region making true impact by engaging employees in corporate volunteerism.